The wannseeFORUM Youth Centre on the outskirts of Berlin welcomes young people from all over the world who want to delve into the core values of democracy. On the 19th and 20th of September, experts of the Council of Europe visited the historic venue in which the centre is located, to assess its eligibility for the Council of Europe Quality Label for Youth Centres. 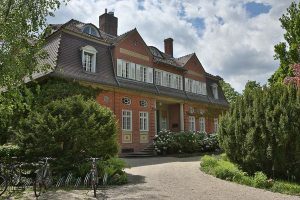 The wannseeFORUM Foundation is located in a villa on Lake Pohlensee, an offshoot of the Little Wannsee. It provides young people from Berlin, the region and the rest of the world with a meeting space in an atmosphere of mutual tolerance and respect. Visitors become acquainted with diverse living environments, while learning to live and breathe democracy in the form of joint projects and educational activities. As an institution, the wannseeFORUM Foundation represents core democratic values and it stands for cosmopolitanism, diversity and equal rights for all, regardless of gender, religion, social, or cultural origins. Their unique profile exists in order to consolidate political and cultural education, working together as a cooperative partner with other institutions, both at home and abroad. The centre applied for the Quality Label of the Council of Europe in 2017 as the first German youth centre aspiring to be a role model in the field of non-formal-, citizenship- and human rights education. Its evaluation was conducted by delegated members of the European Steering Committee for Youth (CDEJ), the Advisory Council on Youth (CCJ), a representative of the network of Quality Labelled youth centres and the Youth Department of the Council of Europe. 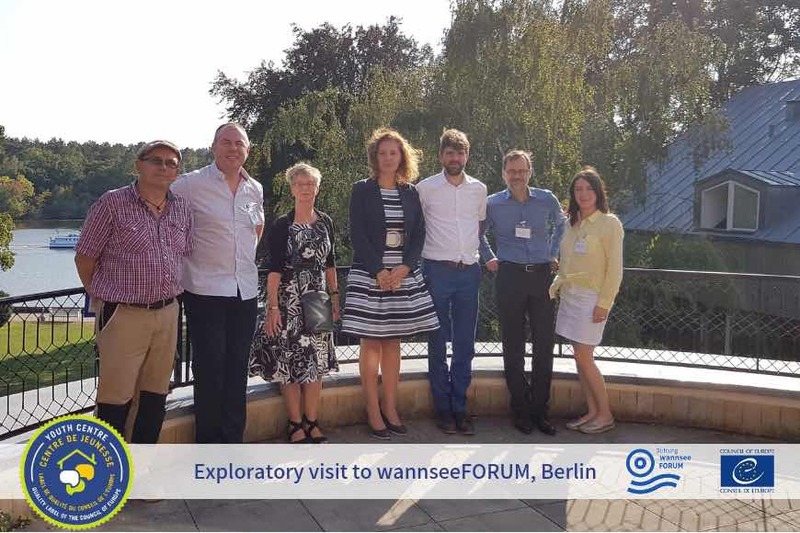 During the two days of the exploratory visit, the expert team was given a tour of the premises, assessed whether the centre fulfils the 15 quality criteria required to be rewarded with the Label, while enjoying the hospitality of the management of wannseeFORUM. Based on the expert team’s recommendations, the CDEJ will decide on awarding the Quality Label to wannseeFORUM during its next meeting on 15 October 2018 in Strasbourg. Currently 11 youth centres across Europe hold the Council of Europe Quality Label for Youth Centres.